"...we simply offer the best prices in the country..."
Wholesale prices to dealers across the nation. Prices are password protected and not advertized to retail customers. 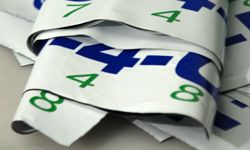 You can count on us to deliver the best quality for the lowest price anywhere. Wires included in the price! Give us a call you won't be disappointed! We are a premier wholesale manufacturer of poly bag style signs selling only to distributors and sign dealers all across the nation. 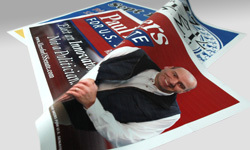 We pride ourselves on being the most reliable wholesale bag sign company in the Midwest. We strive to impress our customers with quality, speed, and customer service. 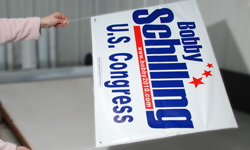 With over 20 year's experience of manufacturing signs, simply put, we know signs. 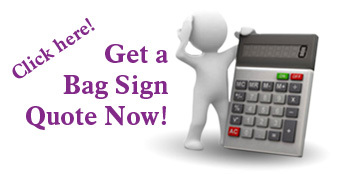 With that kind of experience comes greater reliability, we can handle any order 1 sign to 1,000,000 signs. 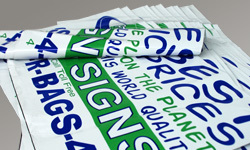 Thousands of marketing campaigns have ordered millions of signs because they have discovered the worth of the Poly bag!